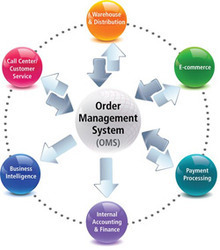 An “order management system, or OMS, is a computer software system used in a number of industries for order entry and processing. In spite of the plastic money trend, the popularity of cash through ATMs is on the rise. As a result, the number of ATMs has shot sharply and is set to grow further. The safe transportation of Cash & Valuables and the constant availability of cash at ATMs is important, more so the need to protect it. These services primarily involves in hand-holding services that will fuel organizations growth to scale-up Business operations through robust strategies and cutting edge business processes. Arya Omnitalk provides the complete solution for Highway Traffic Management Systems (HTMS). Intelligent Transportation Systems offer innovative highway traffic management solutions. By utilizing intelligent technology, highway safety can be increased and traffic operations can be improved. Location Interiors And Design Pvt. Ltd.
We manage your processes and partners, giving you the opportunity to scale while maintaining high service standards. Web Requirements Management solution for any product, process or service! We can help in asset selection and system design for pumping/blower systems. We also undertake risk assessments and ESCo services. Tripath Logistics encompasses a fully integrated, technology enabled end-to-end supply chain logistics solutionthat provides reliable and affordable services across verticals. We operate a supply chain that is efficient and modern, seamlessly merging supply chain and logistics while implementing market best practices. PulseHRM Lite's Leave module lets your employees view their leave balances and apply/approve/cancel for leaves online. Leaves eligibility definition, accrual rules, tracking of leave transactions are all automated. We offer professional IT staffing solutions to companies looking for on-demand technical expertise for short or long-term assignments. Track management involvement at all levels using specific KPIs and checklist. 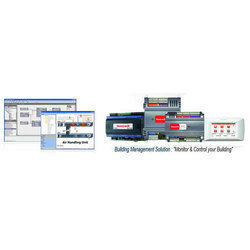 Schedule tasks and activities to integrate day to day managerial activities with Behavior Based Safety Software. In this era, IT infrastructure is the backbone of every business. Any failure in the equipment, especially unanticipated can lead to significant loss of resources and productivity. PCS provides comprehensive Managed Maintenance Services to help you ensure uninterrupted productivity, optimized performance and high efficiency.